Shrubs are one of the pillars of landscaping and can work with a variety of styles and front yard styles. Due to the dense nature of shrubs, you can use them to provide shelter for the birds, carve them to a specific shape, or choose the colors and types that create different levels and patterns. As you choose shrubs, note the amount of shade in each part of the yard and select varieties that will easily survive. For orderly landscaping, use shrubs as borders. 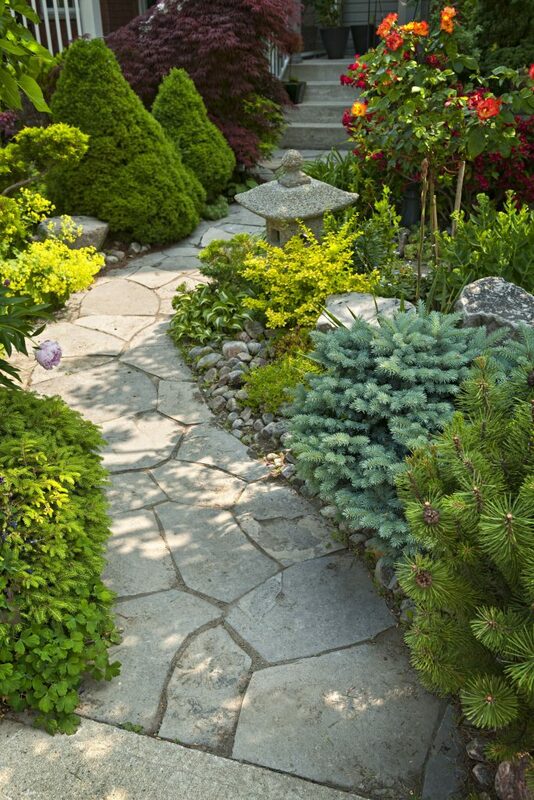 If you have a walkway that leads through your front yard, use shrubs on each side to give an air of formality and drama; you can use the same principle on an alley, making sure to stop the shrub far enough from the sidewalk or road to provide visibility and turn around comfortably. For front yards with flower beds or trees, use shrub to create a clearly outlined border. 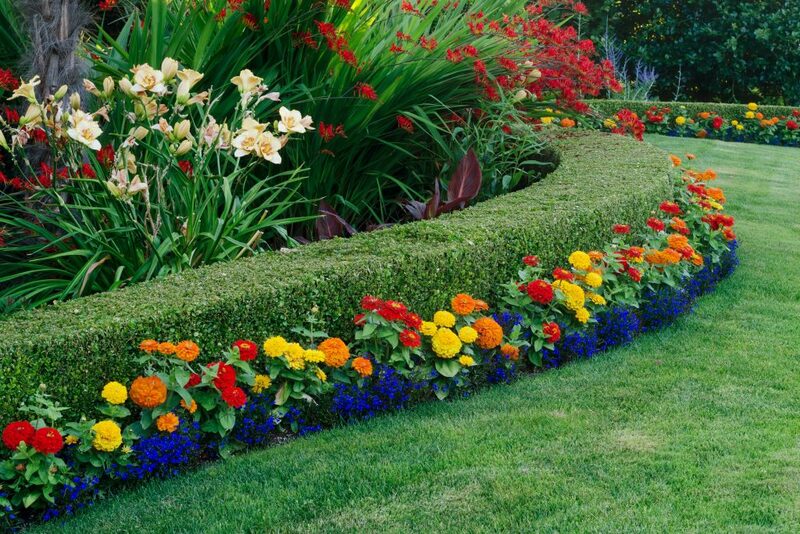 If your home does not have a flower border, a line of shrubs can camouflage a little less attractive edge or create a natural base for the home. Fences are an effective way to keep children and dogs out of your lawn, but they can lend a stern or unattractive look to your garden. Instead of a fence, use a large shrub to keep your lawn safe without reducing visibility or using unsightly fencing. Depending on the amount of privacy you want, choose a dense shrub from medium to high altitude. Plant along the edge of the yard bordering the sidewalk and the sides of the yard. If you have neighbors, make sure your shrub line is inside your property line to avoid conflict. Because shrubs come in a variety of colors and textures, you can use them as a visually exciting replacement and less time for a flower garden. Lay out an area in your front yard that would usually be occupied by flowers: along the front of the house, for example, around a tree, or radiating from a corner. In the designated area, draw a pattern using different colors and textures. Depending on the shape of the shrubs you choose, you can use a starburst, stripes or a radial pattern. 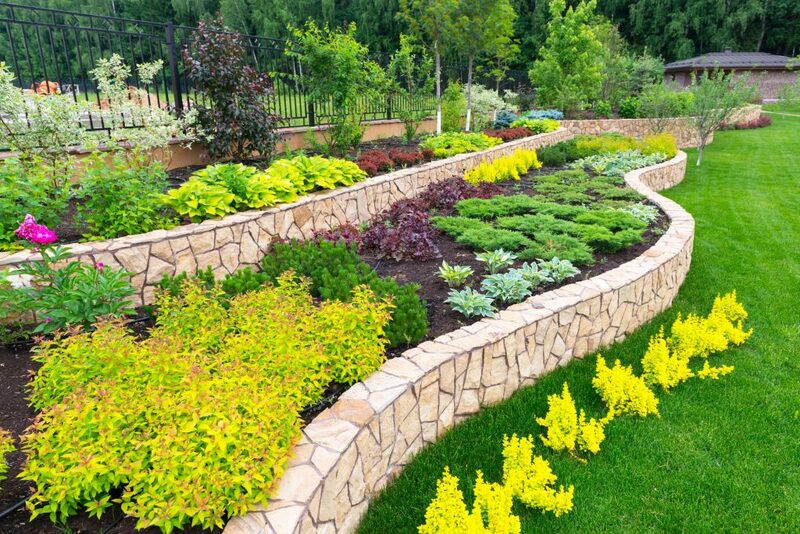 If you want to create a dynamic front yard landscaping scheme with shrubs, it is recommended you use multiple levels. Choose shrubs with a loose, natural growth pattern and different heights; for a natural look, look for shades of green that will create a varying gradient. Organize them in your front yard so that the levels are in the foreground; you can follow an orderly step pattern for an intentional look, or a more organic layout to make it look as if shrubs grow naturally.